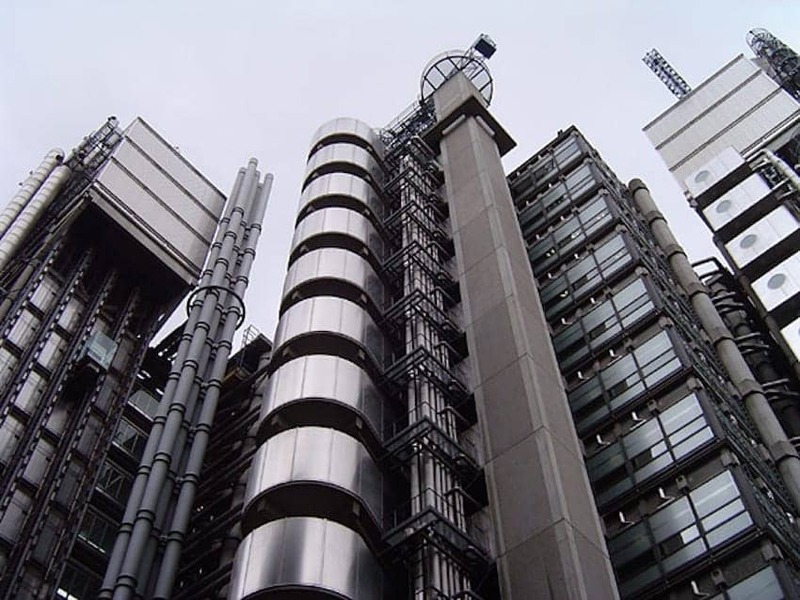 The internationally renowned Lloyd's building was designed by the architect Richard Rogers and took eight years to build. 33,510 cubic metres of concrete, 30,000 square metres of stainless steel cladding and 12,000 square metres of glass were used in the construction. Unlike any of the neighbouring buildings its modern experimental design exposes its services, lifts, pipes and staircases to the outside. A vast atrium dominates the interior with large clear floors connected by escalators. Although built in 1986 the Lloyds building was the youngest ever to be awarded Grade 1 listed status.